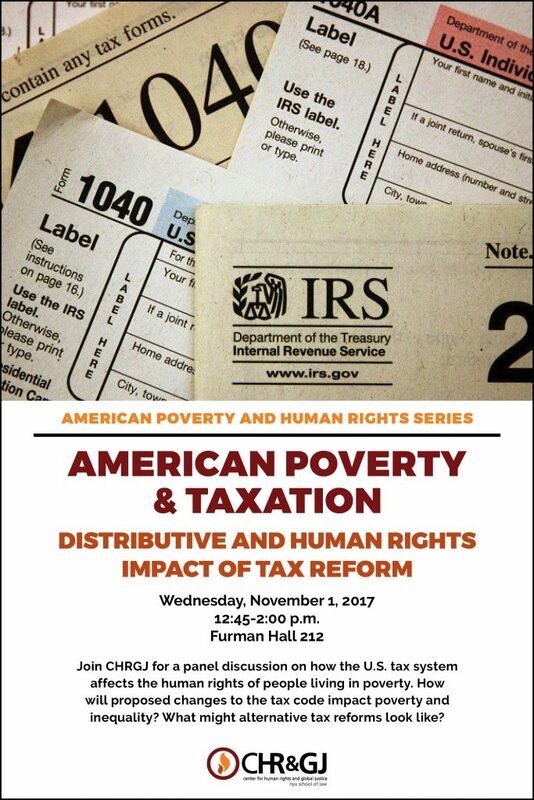 Join us for a panel discussion on how the U.S. tax system affects the human rights of people living in poverty. How will proposed changes to the tax code impact poverty and inequality? What might alternative tax reforms look like? Read more about our American Poverty and Human Rights Series here. This event is free and open to the public. Light lunch will be provided.